Microsoft Dynamics AX (now Dynamics 365 for Finance & Operations) is reinventing the way businesses manage processes. 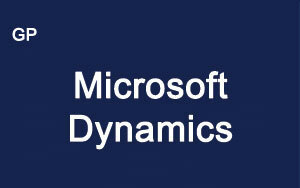 Dynamics AX is a multi-language, multi-currency enterprise resource planning (ERP) business solution with comprehensive global business management features for financial, human resources, and operations management as well as additional industry capabilities for retailers, professional service industries, financial service businesses, manufacturers, and public sector organizations. 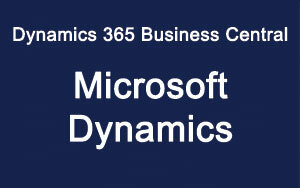 Dynamics AX seamlessly merges with Microsoft Office, Microsoft SQL Server, BizTalk Server, Microsoft SharePoint, and Windows to connect customers, vendors, and employees by integrating all business activities. Dynamics AX can help you run your business across locations and countries by consolidating and standardising processes, providing visibility across your organisation, and helping to simplify compliance. With a wide range of industry-specific solutions, Dynamics AX delivers a business management solution that can meet your needs now and evolve to meet future demands. 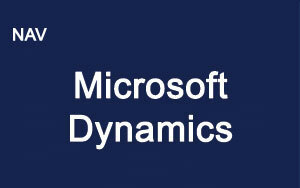 Dynamics AX works with and like other Microsoft products. This significantly reduces training time and results in higher user adoption. Find information faster and easier by using familiar tools and technologies such as Microsoft Office Excel, Windows SharePoint Services, and Microsoft Office SharePoint Server. Help ensure transparency into corporate governance and compliance activities with the Compliance Center, a single location for policies and procedures, process documents, database logs, reports, charts, and key risk indicators. With support for over 40 languages, multiple currencies, country-specific functionality, and a rich set of multi-site shared services, its easy to expand Dynamics AX internationally as your business demands. Dynamics AX features integrated unified communications, including presence information, instant messaging, and Voice over Internet Protocol (VoIP) capabilities—all accessible right from Dynamics AX. Dynamics AX includes self-service business intelligence (BI) and reporting for everyone in key business areas. Enable self-service BI by providing default data cubes that can be displayed as KPIs in employees’ Role Centers and viewed with more detail in Excel. Dynamics AX contains more than 30 out-of-the-box Role Centers giving employees intuitive, graphical displays of the information and activities most relevant to their specific job or role. This makes it easier for users to prioritise and focus on relevant tasks, information and activities. and engage customers on a global scale. Sales and marketing automation, potential customers and sales opportunities management, sales management, Microsoft Dynamics CRM connector. Service orders and contracts, service calls and orders allocation, repair management, service subscription. Material and capacity planning, resource management, job schedules and sequences planning, product configuration. Inventory management, multisite warehouse management, trade agreements, distribution planning, quality management. Project accounting and invoicing, project cost control, splitting into sub-projects, integration with Microsoft Project. Direct and indirect deliveries, delivery orders, supplier relationship management, supplier self-service portal. General ledger, payable and receivables, bank management, budgetary control, compliance management. Workforce management, recruitment, development, training, performance management, employee self-service portal, expense management.